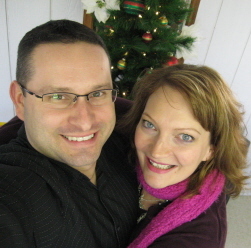 Alan's Factory Outlet is Locally Owned and Operated by Alan Bernau Jr and Wife Julie Bernau, in Luray, Virginia 22835. 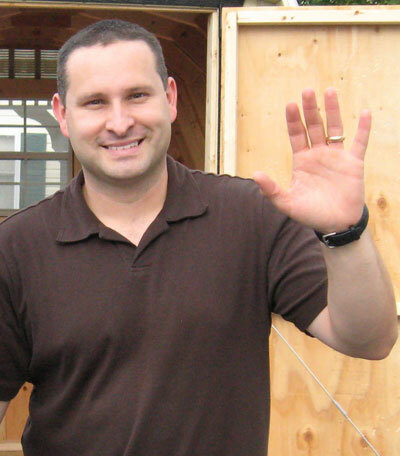 Our Goal is to give you Highest Quality Buildings at a Fair Price while providing the Finest Customer Service Possible. We Thank Each and Every Customer for the opportunity to serve you for the last 15 years. Alan grew up helping his Dad work in the family business Alan's Factory Outlet since 12 years of age. 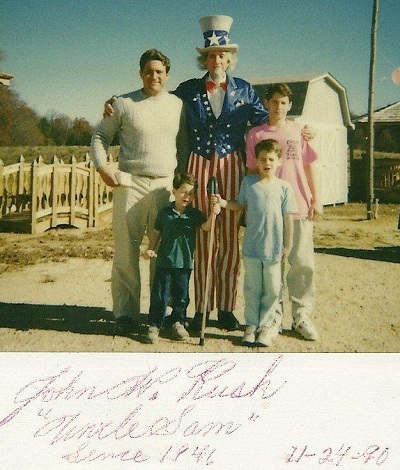 Here is a picture of Alan when he was 14 years old with his Dad, two younger brothers and Uncle Sam. Alan also became a Maryland State Trooper. Love brought Alan from Maryland to Luray Virginia where he meet his wife, Julie who was in the Telecommunication Industry. 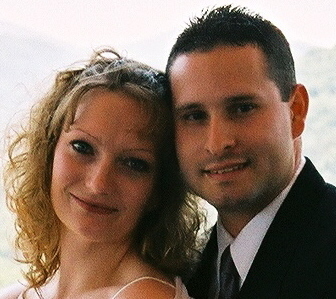 Here is a picture of Alan and his wife Julie on their wedding day back in 2003. A few weeks after this Alan opens up Alan's Factory Outlet in Luray, VA. In 2011 Alan and his wife Julie have been blessed with a daughter named Joy Faith. In 2014 we got a second blessing with our second child a son named Joel Solomon. Find answers to Common Questions or Email us on the Contact/FAQ page.